THE first of many reforms that Prime Minister Datuk Seri Najib Razak instituted upon assuming office is the towering and overarching National Transformation Programme (NTP). Therefore, it was fitting that last Friday saw him launching the NTP Annual Report 2017, the seventh in a string of success stories. 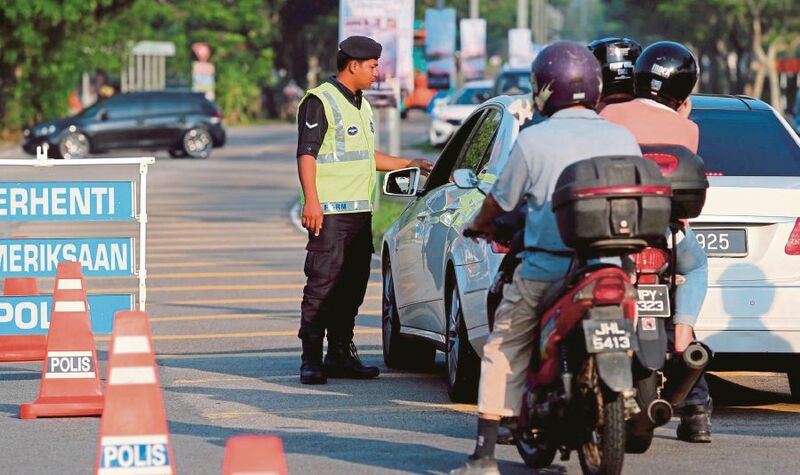 When NTP was first mooted in 2009, Malaysia was struggling to wriggle out of a middle-income trap that was stifling its ambition of becoming a high-income nation. Malaysia was sandwiched between the differentiated and higher-value offerings of advanced nations and the low-cost position of emerging countries. Tighter budgets made it imperative for the public service to offer a quantum leap in value in its services at lower costs. They made departments work smarter through tearing down silos and sharing resources. Limited budgets meant that the government and economic transformation had to be better targeted to get the best bang for the buck. An amalgam of the Government Transformation Programme (GTP) and the Economic Transformation Programme (ETP), the NTP is aimed at catapulting the nation to a developed status. It will do so by improving public services, promoting economic growth and ensuring the wellbeing of the people. What has the NTP achieved in its march towards a rich-nation status? The NTP Annual Report 2017 has answers. Let’s examine the evidence. Achievements on key performance indicators (KPIs) across the NTP reflect scores as high as 118 per cent, signalling that targets have been exceeded. Poverty, one of the National Key Results Areas of the GTP, is so negligible at 0.04 per cent that it augurs well for one of the three pillars of the New Economic Model — inclusiveness. The crime rate is down by half. Customer satisfaction over public transport is at an all-time high of 90 per cent. With better mobile applications and seamless connectivity, a perfect score of 100 per cent is well within reach. Pioneered under the NTP, the Pan Borneo Highway will connect Sabah and Sarawak. It will do as much good, if not more, as what the North-South Expressway has done for the peninsula. Despite a softer global economy, our gross domestic product growth rate posted a handsome 5.9 per cent. With such an impressive economic performance coupled with a growing world economy, we can be confident of achieving a high-income status. What is more, rising household incomes are nibbling away at the 20 per cent gap between the level of income and that of the World Bank threshold of a high-income nation. By any yardstick, these achievements are laudable. The combined impact of the accumulated achievements over the last seven years is significant. Malaysia ranks 23rd in global competitiveness. It tops the list among 20 economies under the transition stage from an efficiency-driven to innovation-driven economy. And it enjoys the eighth rank in Asia in the 2017 Global Innovation Index. Drilling below these sterling statistics, we can see what has made these achievements possible. Inter-agency collaboration, the tearing down of the fortress of red tape and a more responsive public service have been as instrumental as the culture change within the public service. NTP is unique among other transformation programmes in the world. It imposes the discipline of KPIs and performance targets upon lead ministers and their secretary-generals across the seven national key result areas of the GTP and 12 national key economic areas of the ETP. And lest we forget, we also owe our competitiveness to the dynamism of the private sector as the engine of growth. Are we out of the woods yet? No. It is not yet time to repose on the easy pillow to rest on our laurels. NTP now enters the more challenging phase, especially as 2020 draws nigh. This phase will involve tougher fixes after an exceptionally strong performance delivered in the past. Although the rate has fallen by half to about 40 per cent since 2010, negative perceptions continue to cloud the achievements in corruption and crime control. This requires more concerted communication of corruption and crime control efforts. There is work cut out for the public service in corruption and crime reduction. More work remains ahead in alleviating the impact of the escalation of the cost of living on the bottom-40 income group. We are now on the cusp of Industry 4.0. The government’s strategic plan for this new era is due mid-year. The public service will have to ready itself to implement the plan. It will have to make the industry and the public service tech-savvy. Jobs will be disrupted in the process. Technical and vocational education and training will have to be upgraded to the excellence levels of German and Swiss vocational training. That should ensure greater talent and higher wages among the workforce. All these require the public service to redouble its efforts towards achieving the high ideals of NTP.